Invoice - powerful invoice Joomla extension allows you to create and manage client invoices and accept online payments. 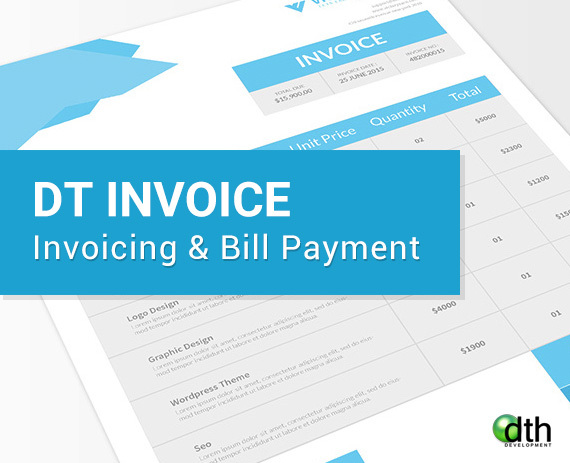 You create an invoice including item details, product descriptions, payment terms, etc and assign it to a user with a set due date. DT Invoice integrates directly with DT Register making it possible to automatically generate invoices when your customers register for events. There is even a plugin to build rules on what events will have invoices generated upon registrations.